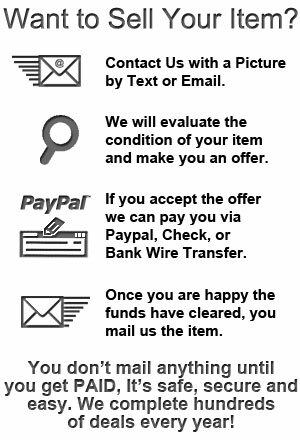 We are available to help you place a value on your items and buy it from you. Before we can help you we need to see a picture of your item to assess its condition. In most cases value will vary greatly with condition so just knowing what your object is is only a small part of the picture. When you send an email please send the best pictures you can so we can give you the most accurate value for your item.